Arthur Burnett Benton was one of the foremost architects of turn-of-the-century Southern California. Born in Illinois, he studied architecture in Omaha, Nebraska, and worked several years designing structures for the railroads. He arrived in Los Angeles in 1893, and established a partnership with William Aiken. 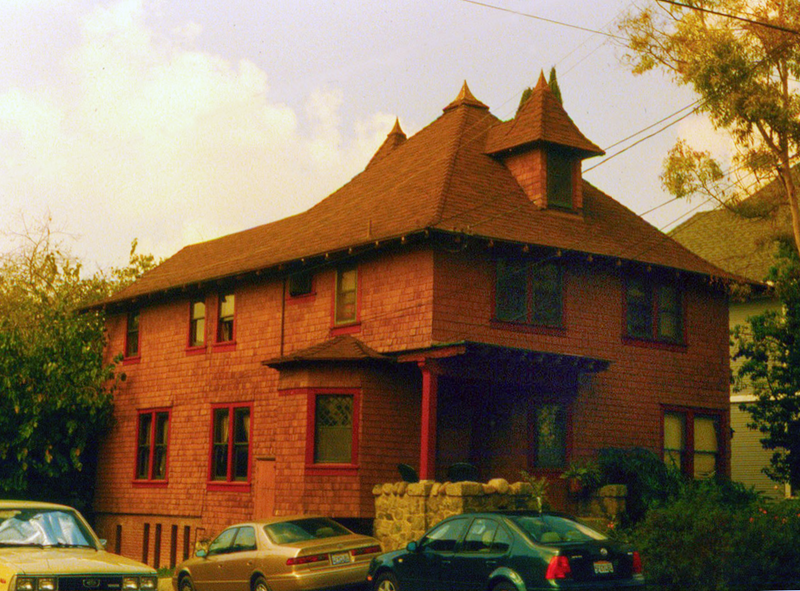 In 1896 he designed this house for Mary Stilson, who had commissioned a number of spec houses from Aiken & Benton in the Angeleno Heights section of Echo Park. Benton purchased this home from Mrs. Stilson later that year. He enlarged the dining room in 1903 and in 1912 redesigned the interior of the house to express his love of history and European design. In 1913, he built a concrete garage behind the house and in 1926 constructed a Japanese Tea House on top of that garage, which was the same level as his rear yard, opening onto a lotus pond. Benton’s best known work is the original portion of the Mission Inn in Riverside, California. He also designed the William Andrews Clark YWCA home at Third and Loma in Los Angeles, a number of historic churches, and numerous commercial buildings. Benton passed away at home in 1927, after living 31 years in his Angeleno Heights home.